When the cold nights of winter roll around, I tend to turn into a hermit by my fireplace and Christmas tree. But even at other times of the year, sometimes I’m too sick in bed to run out for a box of Kleenex, or I’m stuck at work finishing a project and can’t make time for lunch. No matter what the scenario is, I don’t ever have to go without the things I want or need because of the plethora of quality Austin delivery services this great city has to offer. Favor provides an extra hand for errands and can deliver almost anything right to your doorstep, whether it be dishes from your favorite restaurants, dry cleaning, groceries or even prescriptions. Their system is completely cashless and runs through an app you download onto your phone. Pricing involves a $5 flat fee, 5% of the cost of the delivered items and a tip to your runner. Favor was founded in Austin and has been successful enough to expand to select areas in Boston and Dallas so far. One thing Favor can’t deliver is alcohol, and that’s where Couch Potato Austin comes in. This business represents a “convenience store to your door” and can bring you anything from local beer, wine, cigarettes, groceries or even customized gift baskets. 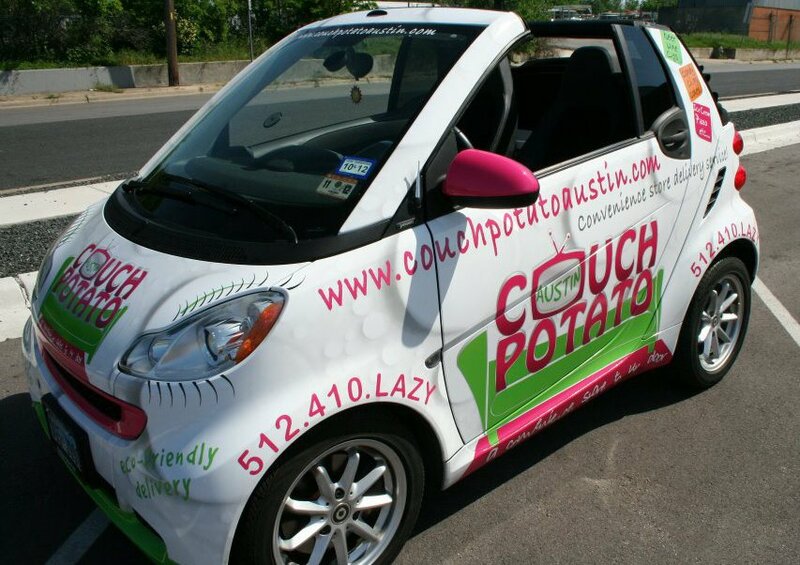 Couch Potato Austin was founded by a couple of Austinites who wanted to take care of those moments you don’t have time or just don’t want to make your way to the store around the corner. They keep delivery products in-house, but are open to special deliveries from your favorite store or restaurant as well. BrewDrop delivers beer, wine and liquor, and their services are available to the majority of the city. 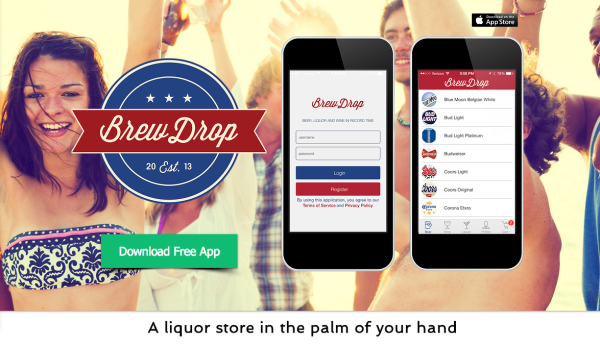 BrewDrop bases their hours of operation around the liquor/beer/wine stores around town. As long as they’re open, BrewDrop is open, and their inventory matches the inventory of local stores. If you’re looking to avoid a time consuming grocery store trip, Burpy has you covered. Their system runs completely through their website, hence the reason why it’s among the most user-friendly. You can search for items one at a time or submit your entire grocery list, and your delivery will arrive on your doorstep within three hours. Burpy offers live help on their website and sources all their products fresh from HEB, Walmart, Whole Foods, Central Market, Trader Joe’s, Sam’s Club and Costco. If you need a healthy delivery, Super Natural Food will take care of you. Super Natural Food is one of Austin’s newest delivery services and offers 100% vegan, organic and raw foods. They call their products “fuel for superhumans” and everything is gluten, soy and dairy free. Super Natural Food even offers a signature program that delivers healthy, gourmet meals to your door on a daily basis – kind of like having a personal chef! No matter what it is you’re needing or craving, there isn’t much that these five Austin delivery services can’t bring straight to your door. Give them a try and let me know what you think of your experience. Have you used any of these Austin delivery services? Are there any local services I’ve missed?